Sterling Electrical Contractors Ltd have more than 35 years of experience offering top-quality electrical repair and installation services. Our staff have a wealth of experience and offer quality service to customers whether they are new or current. We have our own MEWP access equipment and aids safety. 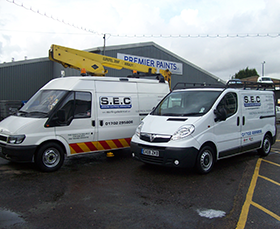 Contact Sterling Electrical Contractors Ltd to update your equipment safely with our dependable electrical engineers.